You must make reservations at least 5 minutes in advance of the time at Tsunami Restaurant - Union Heights. Additional parking in the multi-level parking garage just south of the Century Theaters. Tsunami's Union Heights location offers a beautifully appointed, fully private room for your next birthday, corporate meeting, Christmas party, rehearsal dinner, or other special event. Our expert chefs use the freshest ingredients to create exquisite menus with culinary flair. 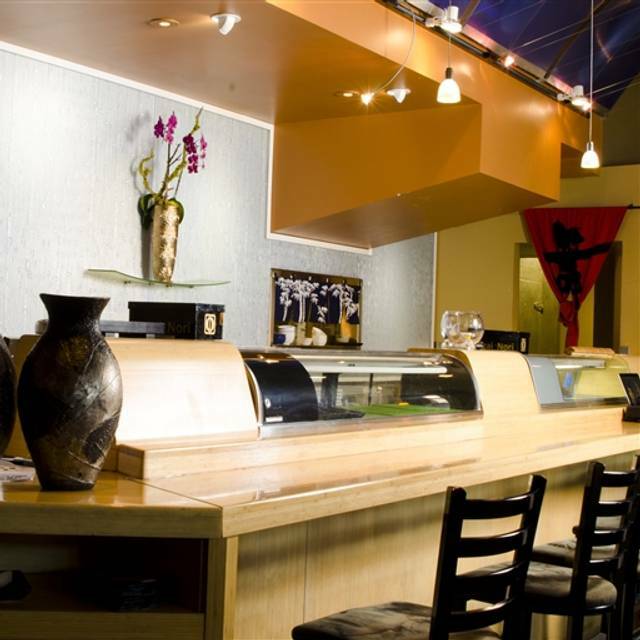 Tsunami offers diners exquisite Japanese-inspired cuisine in an exciting, contemporary setting. From the freshest sushi to amazingly tender baby back ribs, Tsunami's menu offers choices for the most discriminating palate. Whether you're in for a quick business lunch or out for a romantic dinner, the friendly, knowledgeable staff will provide a memorable dining experience. 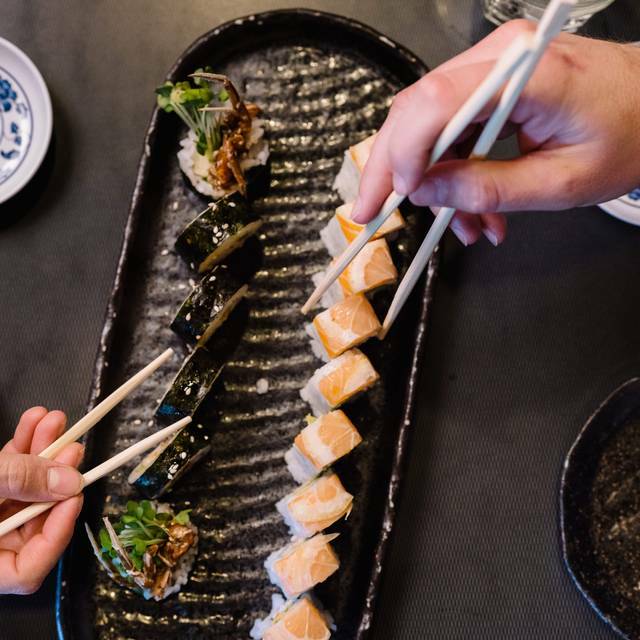 Voted Best Sushi, Best Power Lunch, and Best Upscale Casual Dining in Utah! We strive to keep our facility as peanut and tree-nut free as possible. We do not allow staff, patrons or vendors to bring in peanut or tree-nut products. All Tsunami locations will be closed on Easter Sunday. The food was not up to par. Chef made rolls different then listed on the menu. We were out in a room with two huge parties and couldn’t hear each other talk. After sending two rolls back, we basically ate what was left and decided to leave. Manager didn’t acknowledge our situation until we said we needed to leave. At that point the only thing she did was take off the roll we didn’t eat. Not additional comp at all and it was a horrible experience to have to deal with a party room and sub par food! It was so bad that the manager took us into the back kitchen area to pay the bill???? Very unprofessional and at that point I would have expected my dinner to be comped, but all she said was next time I’ll give you dessert?! Super disappointed. This place is a hit and miss. Never consistent. Tsunami is the got to restaurant for our family. We love the food and always have a great time. We even have a VIP rewards card which helps us earn point towards a free meal. Love this place! What a fantastic first time at this location! One daughter had a birthday party upstairs and was taken care of wonderfully..thank you Carey!! The other daughter and I were lucky enough to sit at Drew's end of the sushi bar. What a treat! He and the server never made us feel rushed, the food was incredible, and all staff we met were so friendly. Drew made me the most delicate, tender white fish negiri white a dreamy citrus, pepper hint on the top that I have never before experienced. Worth the 35 minute drive for sure. It is always a pleasure eating at Tsunami. They have excellent vegan selections and if there is a roll you want to try but it has fish in it, they will turn it into vegan for you! Excellent food. Great food! Our server, Chelsey was outstanding. Just a fun evening. Fabulous as always. Had a reservation at 615 on a Friday night. We got there early and was seated with no waiting! Food was phenomenal. Food is excellent, the staff is VERY knowledgeable and accommodating for dietary restrictions. I’ve never had a bad experience here, it’s always wonderful. Our waiter was attentive and the food was delicious! Finish of a college semester. The food is always amazing, but they could work on their service. The service and food was amazing as always. This was for a birthday party and we were very loud and obnoxious, but the staff was not irritated and was very nice. Food was good, but waiter spaced us off for a while and had forgotten one of our appetizers we’d ordered. Didn’t get it till after we’d eaten everything else (and after we’d reminded him). Food was all tasty though. The recent we chose this restaurant was due to the reviews on OpenTable. ordered 5 rolls for table and all were not what we are used to. No real flavor to any and packed with too much rice. Not on par with sushi restaurants we frequent in NY. Love this place. Their fish is the best in town- it gets flown in! Service is excellent and the menu has something for everybody. Super Delicious. The sushi is a can’t miss! The waiter was very attentive and kind. The atmosphere was very good. The noise level wasn’t bad because we had a table in the bad of the restaurant which helped a lot. The other courses we had were just as good as the sushi. You won’t be disappointed. Come early because it gets pretty crowded around 6:30. Enjoy!! We had a great meal at Tsunami Restaurant during a recent trip to Salt Lake City. 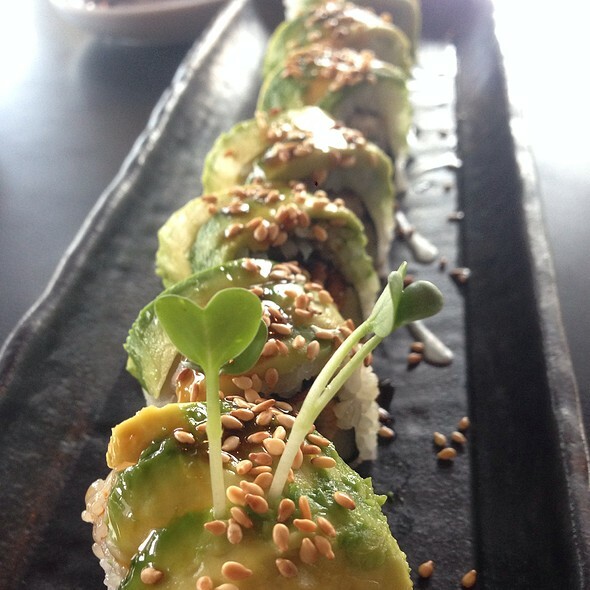 The service was exceptional and the food was really fresh and tasty- especially loved the Executive Roll. Highly recommend. We ended up waiting quite awhile for our main dish after we finished our appetizer. The waiter did check in once but after that we waited until he finally came with our order and explained that there had been a “wait jump” due to a spike in customer orders. Good food and service. The staff was great at taking care of our needs. Food was fabulous everything was great, the only thing that could be addressed was our table was next to an unused door to the outside and there was a pretty cold draft coming in through it I stuffed my coat in it and that helped a lot. Food is really good, service was fantastic, really great. Sat upstairs. The service seems a little slower up there. Sushi was great as always ! Always amazing food and time here! PD, something tropical rolls are my go to order!! We have been going here for years and the last several times the food and service has not been the same. Tsunami is a favorite place of mine. I go there a couple of times a month and have never been disappointed. It's more expensive than some sushi places but well worth it. I will continue to go as often as I can. It was the best food I've had in a long time. The only drawback was that the staff repeatedly kept coming back to ask us how everything tasted... This could have been a much better experience if we were asked once, then left to eat in peace. Check our drinks with your eyes, not your mouth. We were seated in their upstairs room. We never realized there was an upstairs room. It was nice and quiet and Dominique was a great waiter. Glad we discovered that we could be seated upstairs! Our server was Ashley and she was wonderful! She was very attentive and professional. All of our food came out around the same time with the exception of one dish that took much longer. She continued to check on it for us and when it taken longer than it should have she made sure to comp the dish. I really appreciate when any person in a customer service role sees an issue and proactively corrects it. Thank you Ashley, you were awesome! Food and service were great. I had made a reservation for a birthday party (5 of us). We were seated upstairs and it was extremely hot and uncomfortable. I asked to be moved to a booth downstairs, but they wouldn't move us. Until you can get your temperature adjusted upstairs I would recommend closing that off. It really ruined the birthday party. 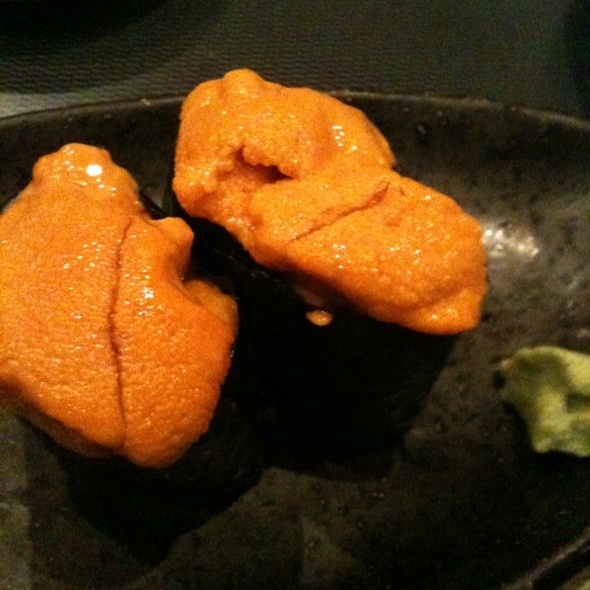 Great sushi! Great atmosphere! Service was excellent as usual. Enjoyed a nice family dinner - we treat ourselves once in awhile with the family as it gets expensive - always worth it! we had a great time--it as my husbands birthday and we joined the vip club in connection with the Tsumami grill and recieved a delicious desert. We had two grandchildren in wheel chairs and they gave us a table that accomidated the chairs nicely (table number 32) I want to remember for next time. we made a reservation ahead and that was nice, to be able to do that. This is in the top 5% of sushi places in Utah. This location is consistent, warm, inviting, and always has wonderful service. They also have a great Happy Hour menu , and a wide variety of sushi. This is on our favorites list, and every year we get the buy 3 get 4 for gift card specials from Costco for Christmas. 100.00 in gift cards for 79.99 (4) $25.00 dollar cards. You cannot go wrong at the (Union Heights location). The Sugar House location is also very good, but has a more casual atmosphere with outdoor seating available. Always YUM!